The fantasy football community can be a fickle people. Too distracted by shiny new toys and controversial opinions, we often overlook the incredible things happening right under our noses because they're "old news." That's the purpose behind this brand new series of articles: to shed some light on great fantasy performances that somehow went unnoticed. Finding consistent, week-winning fantasy wide receivers beyond the first two rounds of the draft can feel like bobbing for apples in a filthy fish tank full of used needles. (Just ask anyone who drafted Chris Hogan. Or Doug Baldwin. Or Larry Fitzgerald.) So for the first few weeks of the season, those who took Cooper Kupp at his 7th round ADP probably felt like they had a mouthful of Honeycrisp. But when Kupp went down with two different leg injuries, missing over half the season in the process, they felt the sharp sting of those dirty needles. Belabored fruit/medical equipment metaphors aside, Cooper Kupp's abbreviated fantasy numbers hint at a monster wide receiver in the making. Understanding that Kupp only played 7 full(ish) games this year, that overall finish doesn't mean much. What matters is where he finished during those active weeks. It's a small sample size, but in Weeks 1-5, Kupp was the WR4 in PPR formats. Then came the 1st quarter knee injury against Denver in Week 6. In his first week back from that injury, Kupp put up WR9 numbers. Unfortunately for those celebrating his big return, Kupp was re-injured in the very next game and wouldn't play another snap all season. Removing his early exit in Week 6, Kupp averaged 7.7 targets, 5.7 receptions, and 81 yards per game. He also scored 6 touchdowns over just 7 games. Had the rug not been swept out from under him, Kupp was on pace for 91 receptions, just under 1,300 yards, and 14 touchdowns. That would have made him the WR8 on the season, ahead of JuJu Smith-Schuster, Mike Evans, Stefon Diggs, and Keenan Allen. Want More Personalized Advice? Schedule A Live Consultation With A Fantasy Expert! I know what some of you are thinking. You could plug just about any ol' wideout into Sean McVay's electric offense and they'd produce sparks. Right? RIGHT?? Reynolds couldn't simply step in and fill Kupp's role because, quite frankly, he's not as athletic, sure-handed, or as crisp of a route runner. And while McVay's offense certainly helped boost Kupp's numbers, it would be too diminishing to suggest that's the main reason he produced. Okay. We have to talk about it. Disregarding the Super Bowl collapse, Sean McVay has done nothing but prove he's an offensive genius with a penchant for moving the ball down the field at will. The guy basically excretes fantasy gold. The Rams ranked 8th in total time of possession this season, thanks to their ease in sustaining drives. (Not so coincidentally, the team was 4th in that category through Week 10, when Kupp was still playing.) They ranked 3rd in number of offensive plays per game. They also used 11 personnel sets (with three receivers on the field at once) an absurd 90 percent of the time, which was tops in the league. To put it simply, the Rams had possession of the ball a whole lot this year, and when they did, their receivers were heavily involved. Even with one of the best running backs in football occupying the backfield. Those are significant drop-offs in every major statistical category. 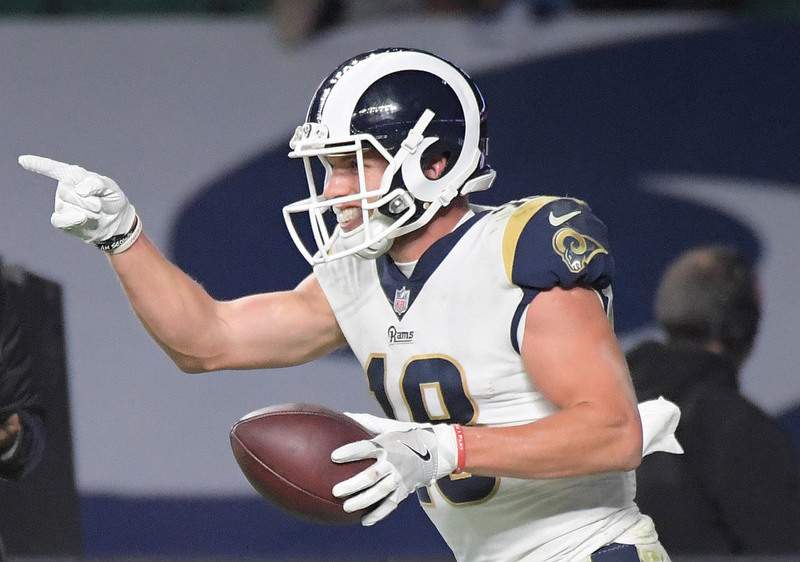 But perhaps even more telling is this little nugget: Goff's passer rating when targeting Cooper Kupp was 134.4, the highest in the NFL this year (with at least 50 targets) by a wide margin. Meanwhile, his overall passer rating was 100.1. That's still nothing to be ashamed of, but it's obvious Goff missed having such a reliable target to dump the ball off to when under duress. It's no secret that the Rams' wide receiving trio is among the best -- if not THE best -- in the league. Brandin Cooks and Robert Woods both finished in the Top 15 at the position by season's end, and it's possible Kupp would have joined them if he'd stayed healthy. They all finished inside the Top 20 on a per game basis. So long as these three are on the field together, with McVay calling the plays and Goff slinging the ball, we should expect to see similar numbers. Luckily, they're all locked up through 2021. That's three more years of potential dominance amongst L.A.'s receiving corp. Going into 2019, it should be possible to get an injury discount on Kupp. 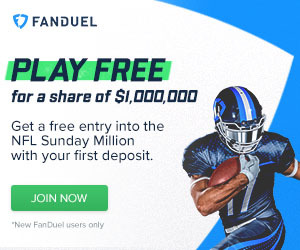 Fantasy football is very much a "what have you done for me lately?" environment, and Kupp's late-season inactivity is bound to lead to some recency bias. He won't be nearly as cheap as he was last year, but he'll likely be the last Rams receiver off the board, going in the 5th round or later. In dynasty formats, I'd be sending off any 1st round pick I have for this year in the hopes that his current owner is nervous about his recent injury history. Get a head start on next season with a Fantasy Knuckleheads membership!